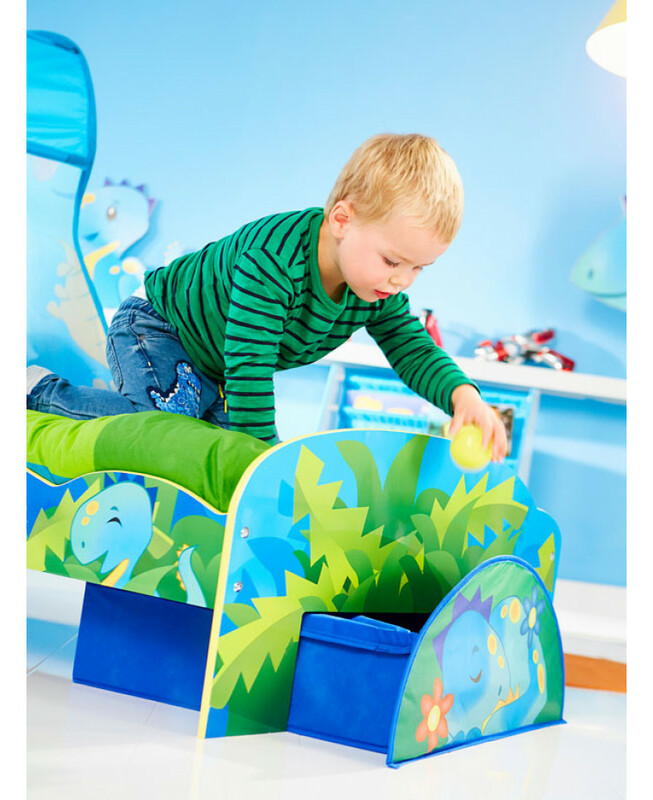 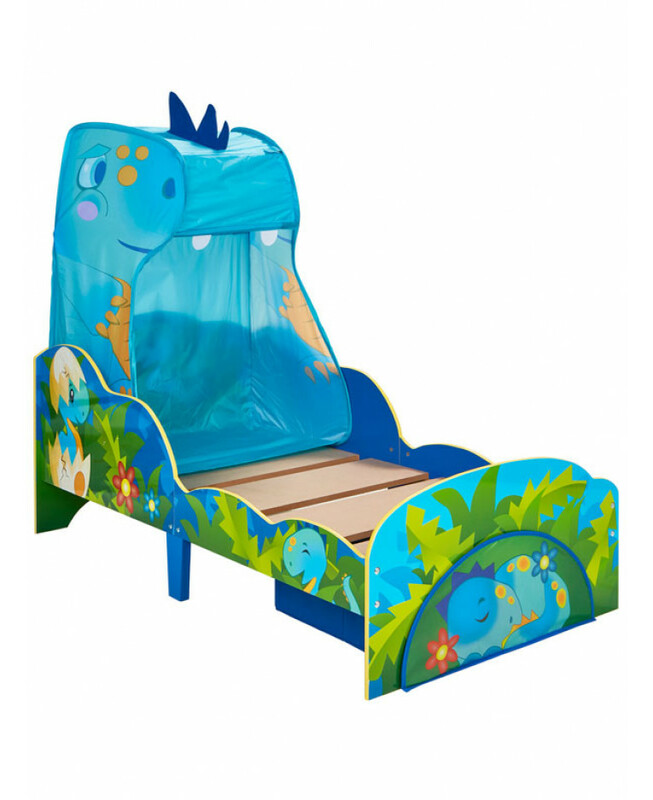 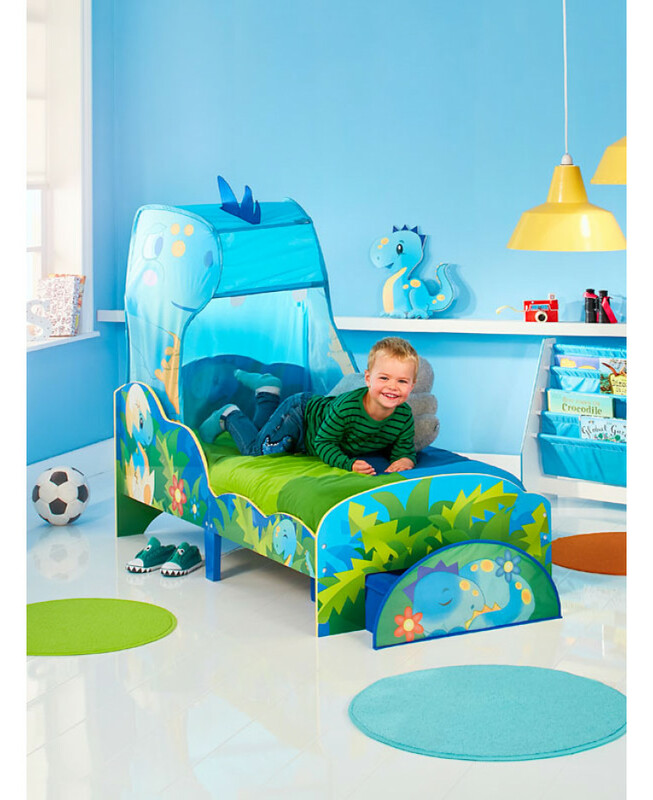 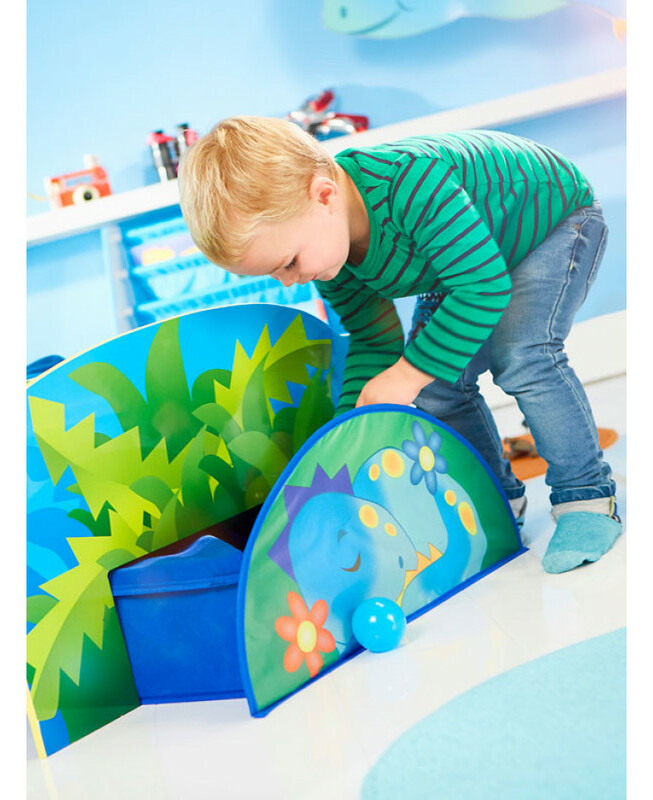 This fun Dinosaur Toddler Bed is an ideal stop off on the journey from a cot to a grown-up bed. 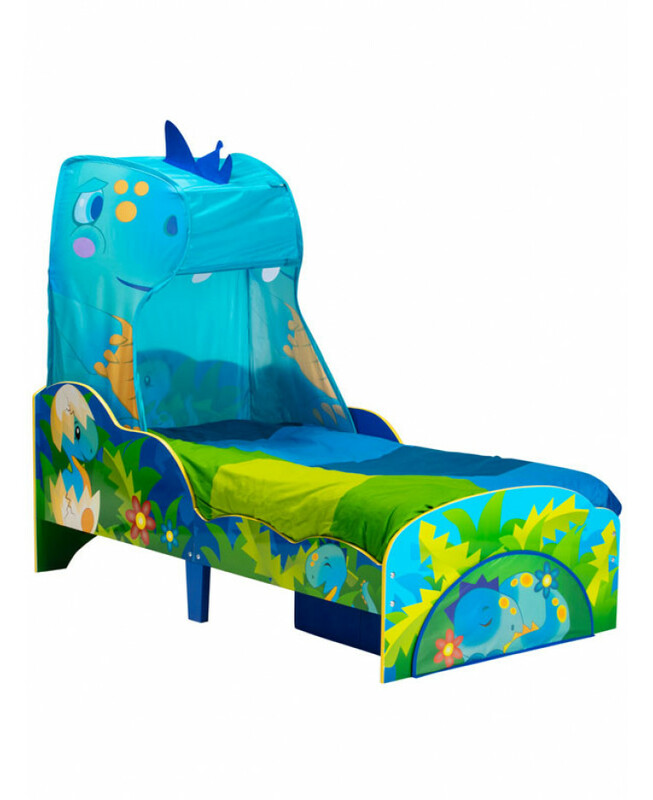 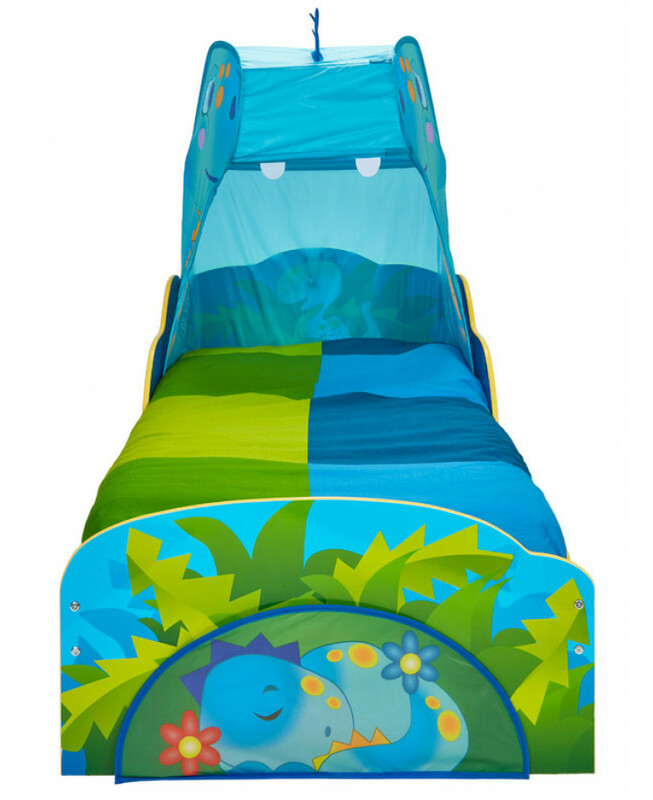 The bed has colourful dinosaur themed graphics and a cool dinosaur shaped removable bed tent canopy, as well as a handy storage drawer at the foot of the bed which is perfect for storing toys, books or clothes. 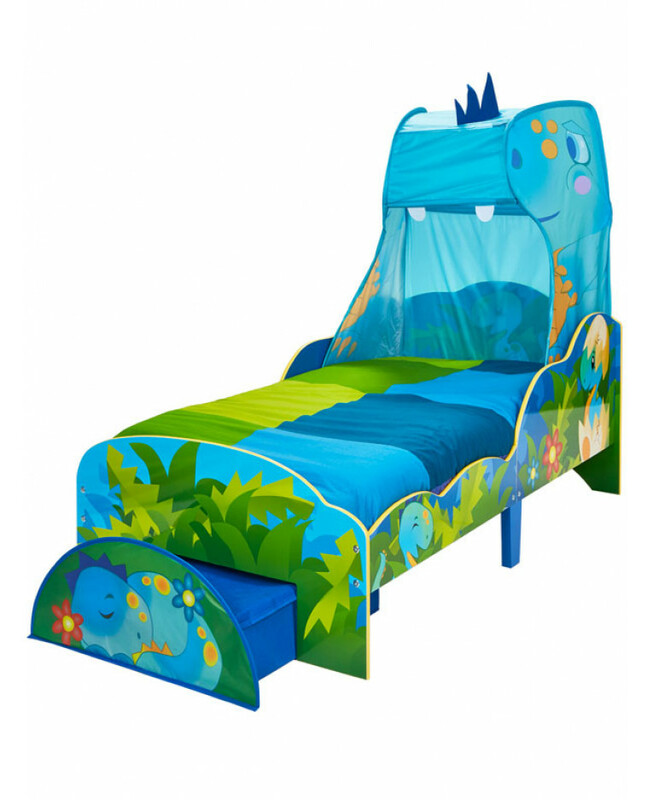 The bed also features secure side panels to protect your little one from nighttime tumbles and is low to the ground to allow easy access for little legs. 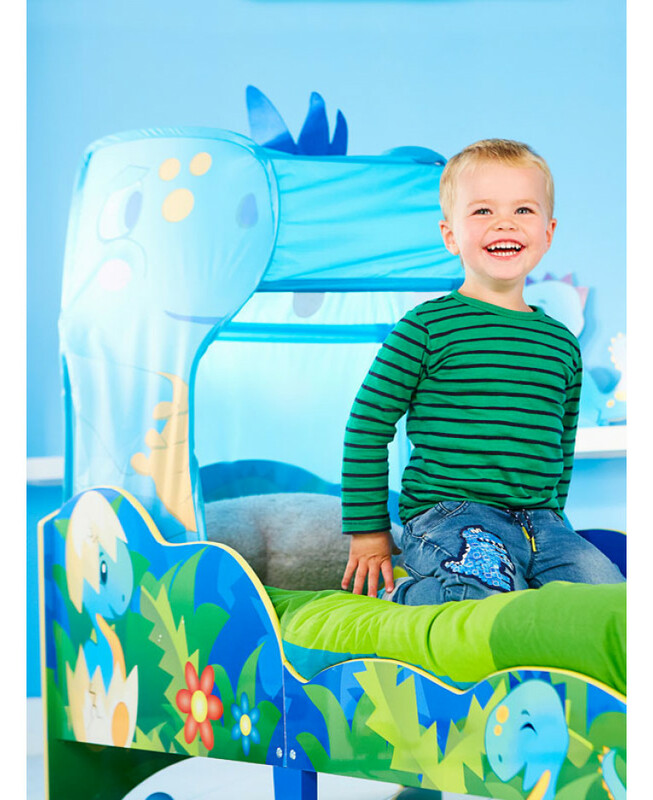 The beautifully crafted bed frame and wooden slats make the bed safe and sturdy, while simple assembly fixing and components ensure a quick hassle free build.